Nature can provide some of the most spectacular views ever! 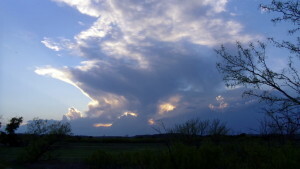 Clouds from yesterday evening as the storms were beginning to envelop the area. 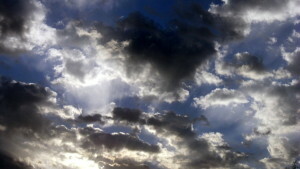 After last night’s lightning show, the clouds at sunrise was equal to yesterday evening’s showing. With all the rain last night, I took a leisurely morning grabbing a shower, cooked breakfast and had 3 cups of coffee, comparing the 3 different brands I had brought along. Starbucks instant wins hands down! After allowing my tent to dry out as much as I could, I packed all my gear, loaded it on my bike and started towards Turkey, TX. 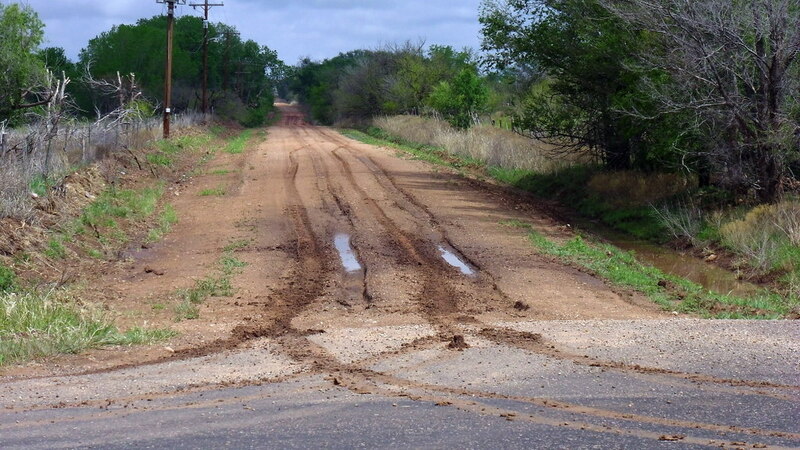 My original route took me almost due east on some county roads but I was quickly realized that all these roads were dirt and after last night’s rain were very muddy. I opted to head back to Quitaque to catch TX 86 and then onto Turkey. Sure glad I did after passing numerious of roads in muddy conditions. 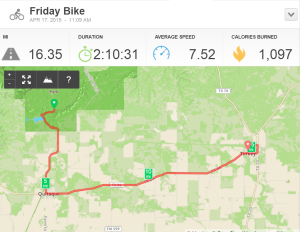 From Quitaque to Turkey is about 13 miles and I just took an easy pace … this was to be my day off … but good to keep the muscle memory intact. 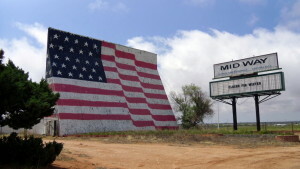 Fun site along the way was a drive-in movie theater. Note on sign says “MidWay between Turkey and Quitaque … New York & L.A.”. Cool! 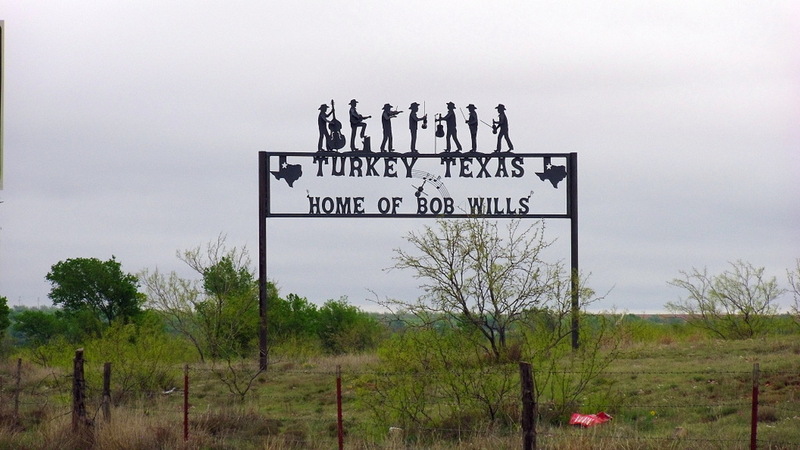 I eventually rolled into Turkey, TX a little after 2 p.m. Turkey’s claim to fame is Bob Wills and the playboys. 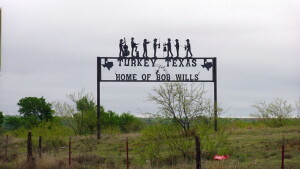 In fact, next weekend is the annual Bob Wills week here in Turkey and everyone is getting ready for the event. Am staying tonight at Turkey Hotel Bed and Breakfast. Interesting place to be sure and huge amount of antiques throughout the building. After checking into my room (a jack and jill room with another room) I just got out a walked around the main street of the town. 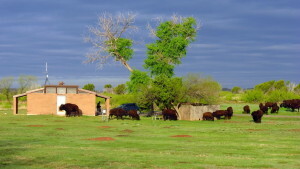 City park in Turkey TX. What is it with these arrows? #1 Starbucks by a long shot, #2 Taster's Choice, #3 Folgers. This entry was posted in General, trip1, Trips. Bookmark the permalink. I told you to watch for buffalo! How close did they get to your tent? They didn’t get that close to the tent but riding out … I was about 50 ft from one of them. Huge animals! That is crazy cool to have buffalo roaming near campground. You have taken great photos. 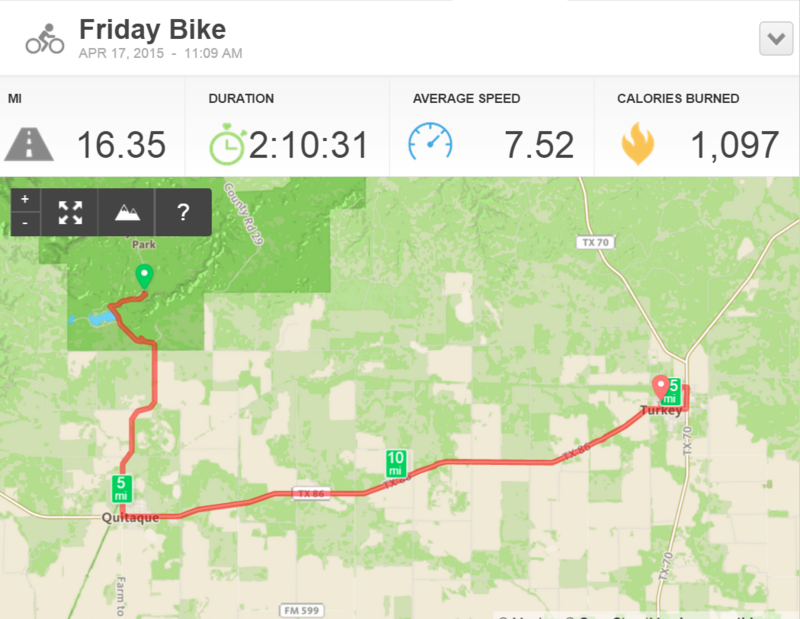 Things do look better when you are on your bike. Love all the pics and the write ups! Glad your trip has been safe, with (overall) good weather and roads! The buffalo are awesome!